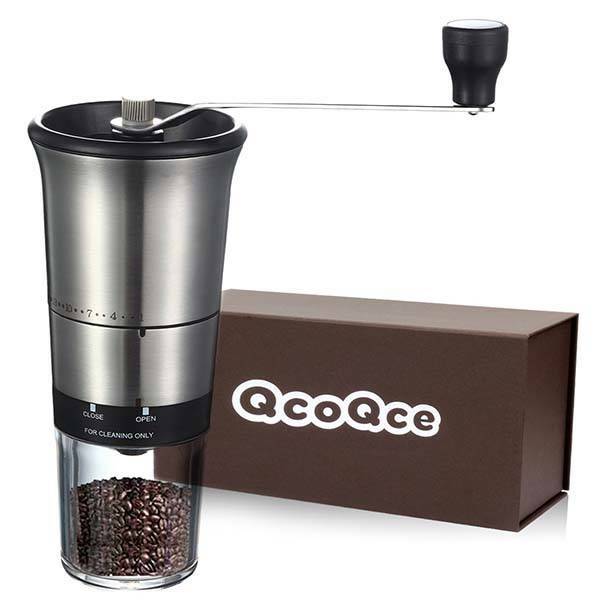 Using 16 grinding settings, QcoQce portable manual coffee grinder allows you to grind coffee beans based on your preference. Like the idea? Let’s keep checking. This is a well-designed and practical manual coffee grinder that weighs 1.34 pounds. As we can see from the images, the grinder shows off a sleek and compact form factor, and with a detachable hand crank, you can easily take it with you for camping, hiking, and other outdoor activities. Meanwhile, the brushed stainless steel exterior not only provides a durable construction, but also delivers a sleek and premium look. The hand coffee grinder comes with a 40mm ceramic conical burr that’s more durable and less fragile for a consistent grind. More importantly, it features 16 grinding settings from coarse to fine grind so that you can enjoy your coffee just the way you like including espresso, pour over, French press, cold brew and more. Moreover, its triple mounted stainless steel axle is designed to eliminate burr wobble and provide stable grinding. In addition, its 50g capacity hopper contains enough coffee beans for 5 cups, and the plastic jar with sticky pad provides enhanced stability while grinding. 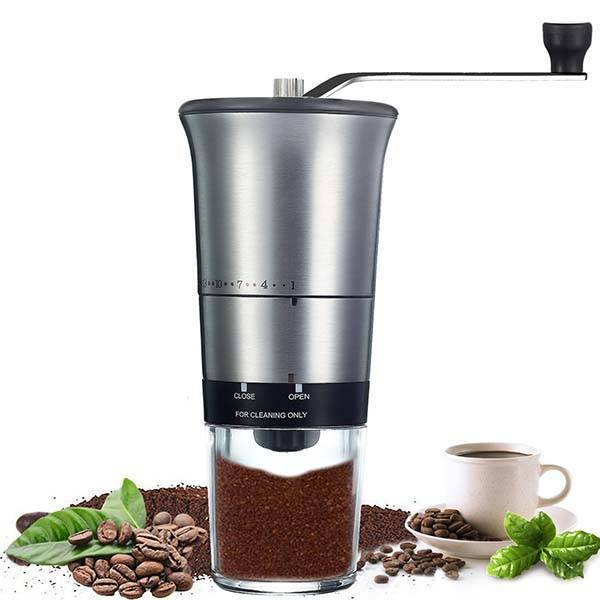 The portable manual coffee grinder is priced at $28.99 USD. If you’re interested, jump to here for its more details.